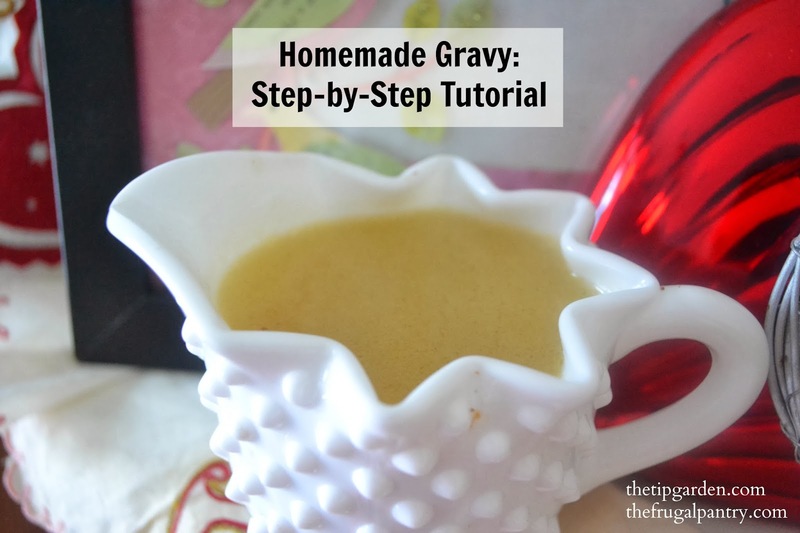 Intimidated by trying to make your own Homemade "from scratch" gravy? Don't be! It's easy to do! I'll talk you through it! Ok if you really feel the need, go buy those cans of store bought gravy as a back up, but I promise you won't need them! Today we'll be making turkey gravy, but the recipe works the same for beef or ham gravy as well. We'll be using some of the pan drippings from the meat (in my case turkey). If you are not the one cooking the meat for your holiday dinner, don't worry, we can adjust the recipe for you quite easily! Now confessional here: This recipe also calls for cans of broth, I do not buy store bought chicken broth. I always make my own from rotisserie chicken carcass's through out the year, as well as turkey bones after holidays and even ham bones too. Whisk flour into melted butter. Slowly whisk in both the pan drippings and the chicken broth. Increase heat to Medium-High, and bring to a boil. Once boiling, reduce heat again to medium. Stir in pepper and poultry seasoning. Simmer 5 min. or to desired thickness.